Lion’s Den playset includes a 25 sq. 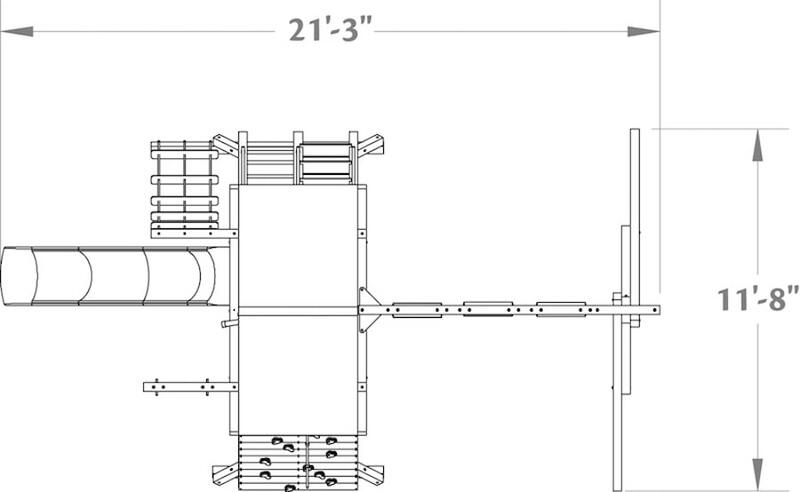 ft. fort, vinyl roof, monkey bars, three-chain tire swing, dual ladder, rock wall, ladder, 10′ slide, single accessory arm, three-position swing beam, and accessories. The Woodplay Playsets Lion’s Den is available in ONLY Cedar Lumber. 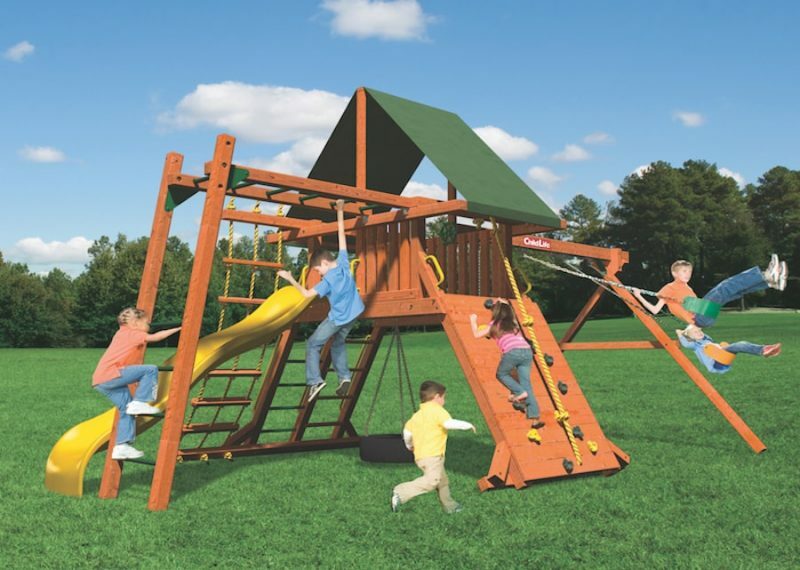 We do offer professional installation on all of our Woodplay Playsets. Please call us for more information. 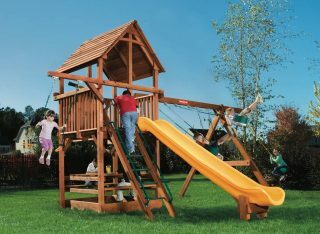 The Woodplay Playsets Lion’s Den (LD.C) includes a 15-Year (Lumber Only) and a 5-Year limited warranty.